While we ran a separate story in May 2018 noting that Zeus and various other deities from Greek mythology would make an appearance in Warriors Orochi 4, characters like Athena and Poseidon were only teased. Now, we know Athena, the goddess of wisdom, will be playable in Koei Tecmo and Omega Force’s latest entry in the Warriors Orochi franchise. In fact, footage shows her in action! This Warriors Orochi 4 gameplay footage was recorded during a live stage event at Ani-Com & Games Hong Kong 2018. It was during this event where the game was demoed live and played by Producer Masaki Furusawa. Though she was first introduced at the start of July 2018, this event gave us our first look at Athena, voiced by Suzuko Mimori. Mimori will also perform the game’s theme song. Anthena is just one of the 170 confirmed playable characters. You can watch the entire Warriors Orochi 4 video below. And in case you missed it, you can check out the brief introductory trailer for Zeus below. 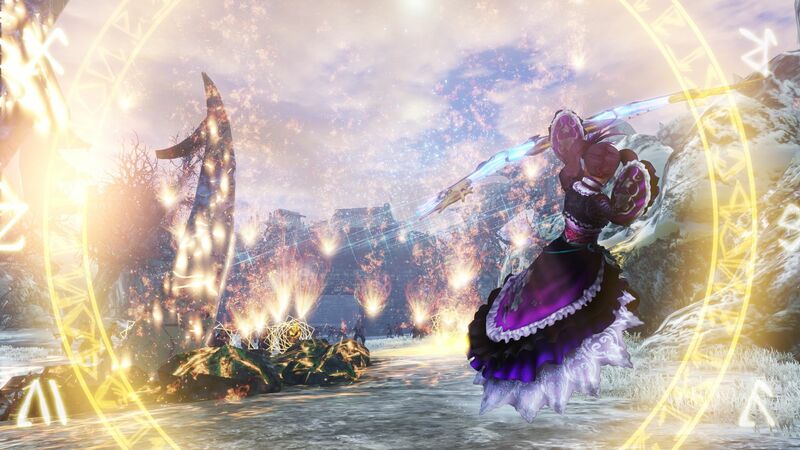 While you eagerly await the release of Warriors Orochi 4, take a look at some of the game’s screenshots. Warriors Orochi 4 will make its way to the PlayStation 4, Nintendo Switch, PC, and Xbox One on October 16, 2018 in the United States and on October 19, 2018 in Europe.